RachieVee: Rachel's Blog • WordPress tutorials, A11y, and dev life. Continue readingQuick Tip: What is a WordPress Archive? I learned PHP through WordPress first, before I went on to solidify my PHP knowledge outside of it. If you’re in the same boat that I was, even if you’re not a beginner in other languages like HTML and Css, here is how I learned these functions. Quick Tip: Not sure what template you’re in? Use the WordPress body classes. Let’s talk about WordPress body classes! But first, an explanation of what this is. This is the first short post, from what I hope will end up being several short posts, called “Quick Tips”. It can take me weeks to write a “normal” sized post on RachieVee, and so, in an effort to keep myself active in 2019, and still pass on tidbits of knowledge, I’ve started this new category. I have also categorized these “Quick Tip” posts based on developer experience. This first post is geared towards “Beginners”. This level is meant for developers just getting to know how WordPress themes work. What are WordPress body classes? Back on topic! WordPress body classes are exactly what they sound like. They are HTML classes applied to the body tag of a WordPress site. WordPress themes use the body_class() function to apply these classes auto-magically. If you’ve ever had an error show up on the front-end of your site, or if you’re looking to change something in a WordPress theme – taking a glance at these classes are a quick way to orient yourself. While these classes won’t tell you exactly what template to look for in a WordPress theme (unless it’s a custom page template), they can provide a clue about where you are in the WordPress template hierarchy. Not sure what the WordPress template hierarchy is? I’ve linked to it above. It’s a flowchart of how WordPress decides what template file to display on the front-end, based on the type of content. It also differs depending on the theme. 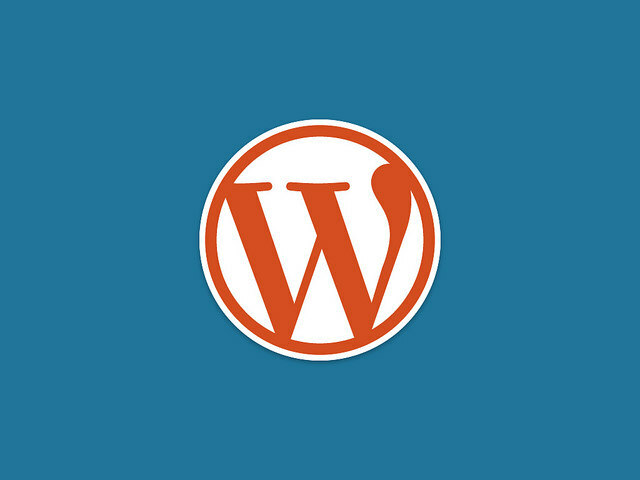 There are only three required files for a WordPress theme: functions.php, style.css and index.php. Any other file aside from these required three, are for additional functionality and/or styling in a theme. The more template files that exist in a WordPress theme, the harder it can be to narrow down bugs or alter anything for those is still getting comfortable in said themes. Here is where the body classes can help. Continue readingQuick Tip: Not sure what template you’re in? Use the WordPress body classes. 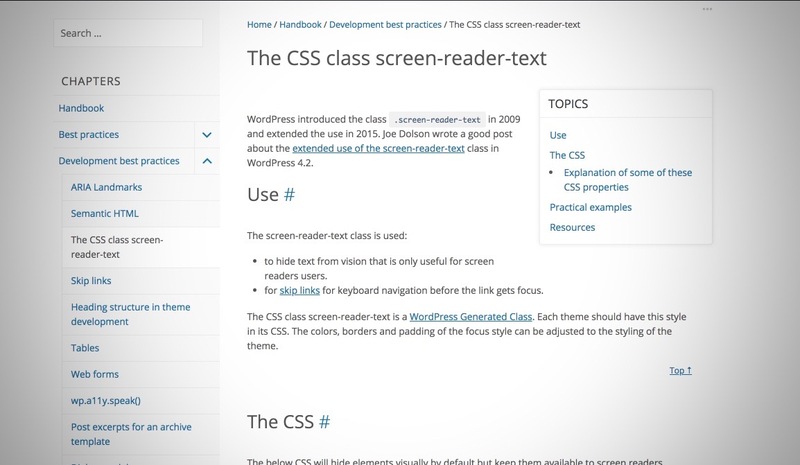 One of my first exposures to accessibility in WordPress is the screen reader text class. When I was learning by tinkering around existing themes – it became a familiar sight. Now, the screen reader text class is an effortless addition to my daily development, and it makes a huge difference. First we’ll go over briefly what this class is and how it can help make sites more accessible. Then I’ll review 5 real life applications of the screen reader text class in the wild. I hope that by reviewing these cases, it can become part of your every day workflow as well.